I have always had a wicked sweet tooth. Leave me within 10 feet of a packet of biscuits (aka cookies) and I’ll scoff the whole lot in one sitting. But knowing how damaging added sugar is to your health, I try very hard to limit my intake as much as possible. I make sure most of the sugar I eat comes from natural sources, like fruit and dairy products. 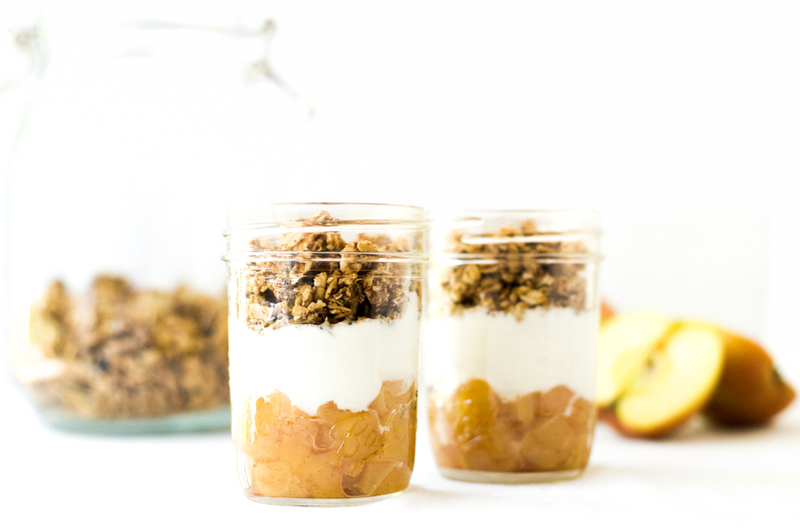 Which is why I love turning decadent sweets into deliciously healthy treats, like these 3-ingredient apple crisp breakfast parfaits. First of all, who can resist anything called a parfait? Right? Secondly, there are only 3 ingredients! This is so simple you can even pull it together before taking your first sip of coffee in the morning. Thirdly, this really does taste like dessert, except you get to eat it for breakfast. And you feel virtuous knowing you are fueling your body with healthy fats, protein, fiber, whole grains, vitamins, minerals, and antioxidants. 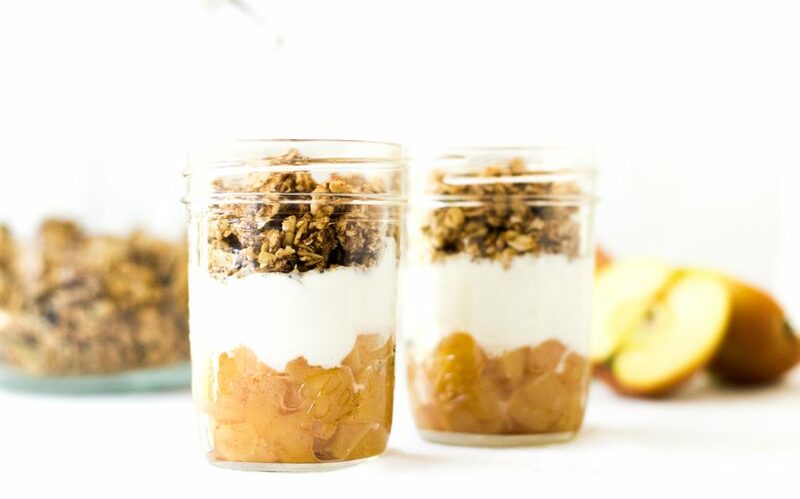 All you need is apples, Greek yogurt, and granola to create these delicious 3-ingredient apple crisp breakfast parfaits. 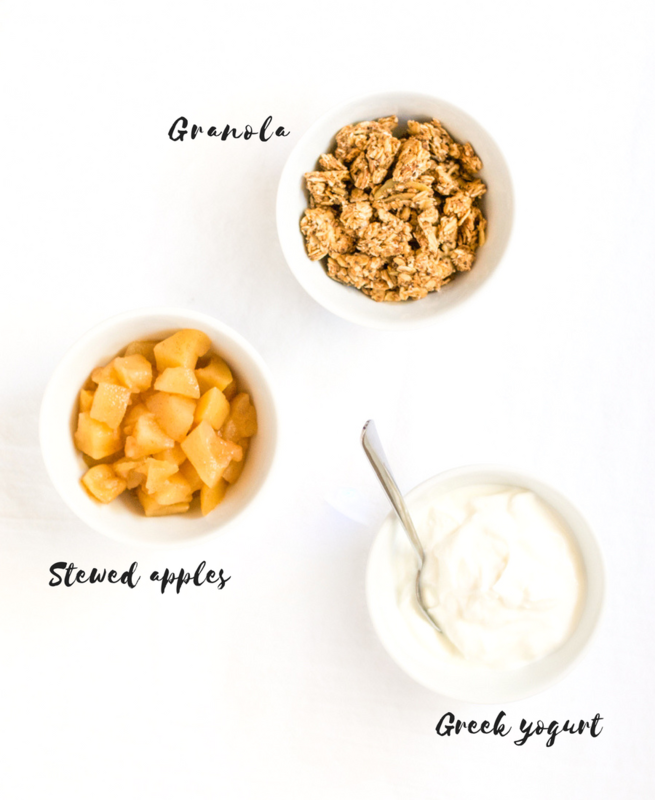 And if you haven’t tried making your own granola yet, I strongly encourage you to give it a try. It is far easier than you might think, and allows you to control the added sugar content. Put the apples in a small pan with 2 tbsp water and the cinnamon, if using. Put ¼ of the stewed apples in a mason jar or serving bowl. 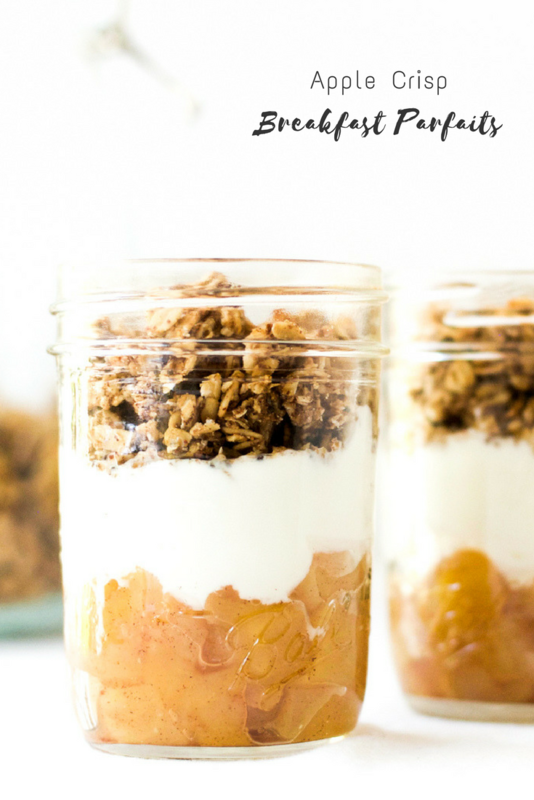 Top with ½ cup Greek yogurt and then ½ cup granola. *Apples can be stewed in advance and stored in an airtight container in the fridge for up to 5 days. 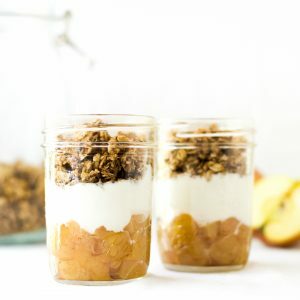 **Although this is delicious when the apples are warm, you can also prepare these in mason jars in advance and store them in the fridge for up to 5 days. Previous Post: « How Many Eggs Is It Safe To Eat Per Day? Mine too! 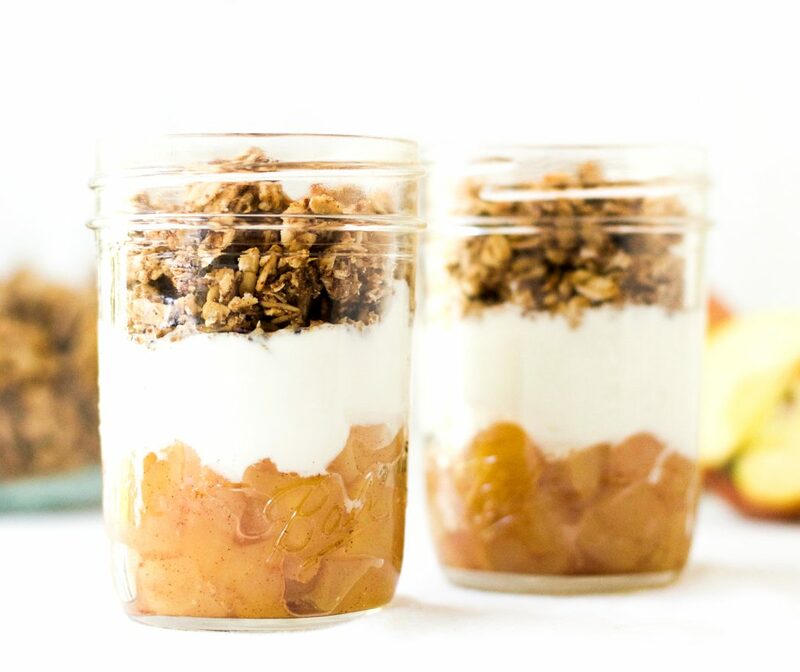 There is something so delicious about eating warm stewed apples with cold, creamy Greek yogurt and crunchy granola. This is brilliant! Thanks for sharing at the Healthy Living Link Party.